DISCOVER GOD’S PLAN FOR YOUR FINANCES God wants to prosper you. But His approach to prosperity is not a get-rich-quick scheme–it’s a lifetime plan, one that requires steadfast commitment to Him and His Word. And unlike the world, His focus is not how much you can get, but how much you can give. Description: DISCOVER GOD’S PLAN FOR YOUR FINANCES God wants to prosper you. But His approach to prosperity is not a get-rich-quick scheme–it’s a lifetime plan, one that requires steadfast commitment to Him and His Word. And unlike the world, His focus is not how much you can get, but how much you can give. In this power-packed volume, well-respected Bible teachers reveal God’s plan of prosperity through biblical explanations, practical personal insights and examples that will show you how to apply God’s Word in your own life. Learn the principles you can use to build a solid financial foundation for yourself and your family! 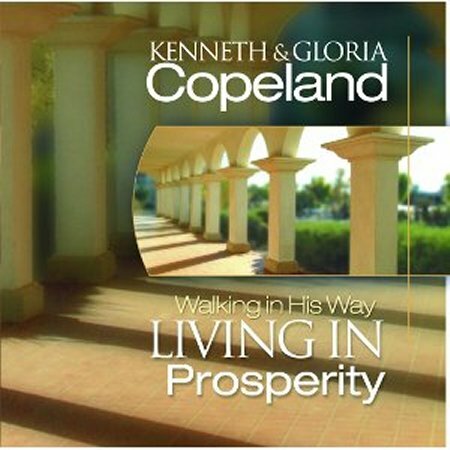 Written by some of the best known teachers on biblical economics: * Kenneth Copeland * Gloria Copeland * Jesse Duplantis * Jerry Savelle * Mac Hammond * John Avanzini * Happy Caldwell * Keith Moore * Markus Bishop Don’t let prosperity pass you by. 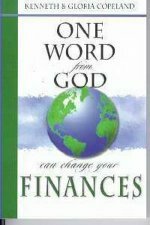 Invest in your future today and discover how One Word From God Can Change Your Finances forever!